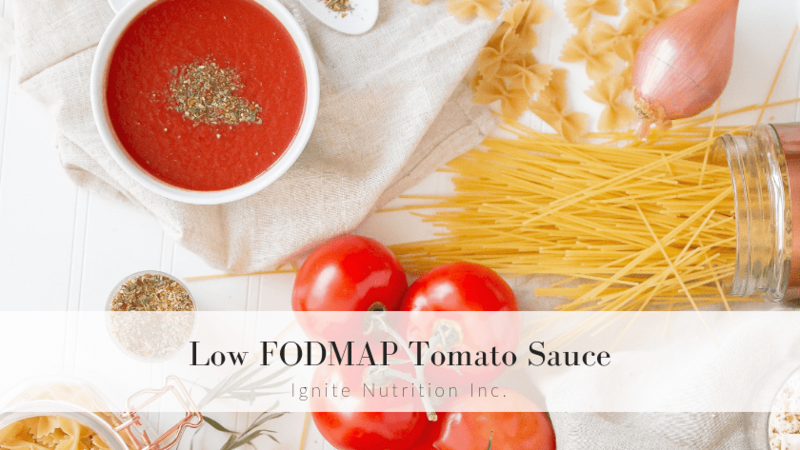 Low FODMAP Tomato Sauce | Ignite Nutrition Inc.
Quite often ready-made tomato-based sauces bought at the local grocery store contain garlic and onions. 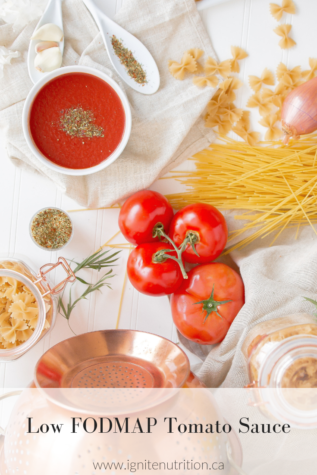 Roasted red pepper sauce, sweet basil pasta sauce, and even organic marinara pasta sauce: they all sound delicious, but when you have irritable bowel syndrome and are on the low FODMAP diet, the garlic and onion content just doesn’t work. 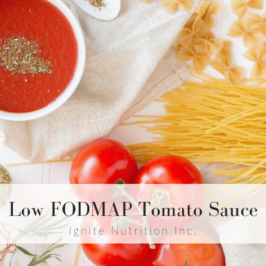 This Low FODMAP tomato sauce is the perfect alternative to high FODMAP, and also highly salted, store bought tomato-based sauces. This recipe is simple as it just involves two cans of tomatoes, two chopped vegetables, spices, and a garlic-infused olive oil. 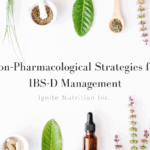 NOTE: Garlic-infused olive oil has been labelled safe for individuals following a low FODMAP diet since the High FODMAP component of garlic and onions are water soluble and will not leach out into the olive oil. An added bonus of this recipe is that it freezes perfectly! I don’t know about you, but that is always a deciding factor on trying a new recipe! What I love to do is freeze the sauce in smaller containers, as it makes thawing the sauce on those busy days a lot more efficient and easier. 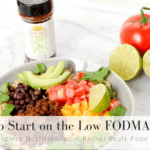 You can place it in the fridge to thaw the night before, or simply defrost a container for 5 minutes in the microwave before preheating it on the stove. Feel free to use this sauce on your favourite pasta, or even as a sauce for homemade pizza. Heat olive oil on medium-high in a large saucepan. Thinly chop celery and red pepper and add to pan and cook for about 5 minutes. Pour in chopped and purée tomatoes and stir. Add in bay leaves, dried oregano, dried basil, pepper and salt and stir well. Cover, and simmer for 30 minutes. Remove bay leaves, and serve or freeze in small airtight containers.